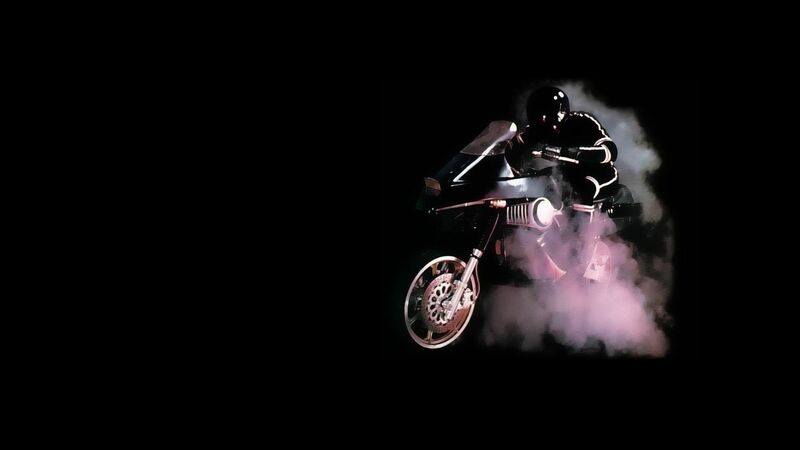 Here's where to watch every episode of Street Hawk season 1. Mouseover or tap an episode to see where to stream it. Click or tap the play icon to stream it on the best available service. Pilot Jan 4, 1985 Jesse's best friend is killed by a black truck and Jesse himself is injured in the accident. 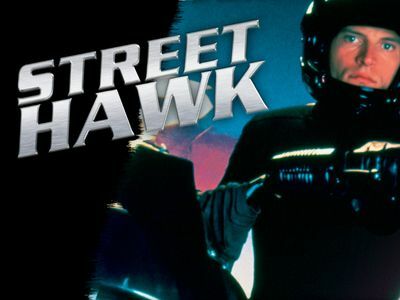 He can't ride a motorcycle again until a man named Norman Tuttle turns up and offers him a knee operation and a job as a test pilot for a top-secret government project, code named Street Hawk. A Second Self Jan 11, 1985 Jesse's old mate (George Clooney) shows up in town after years of not seeing him. Unknown to Jesse he is in town to kill Street Hawk. The Adjustor Jan 18, 1985 Jesse impedes a jewel sale, but a murderer, pretending to be a cop, retrieves the gems. This episodes introduces an enemy unknown to Street Hawk. This enemy is the masquerading cop boss whom we only know of via telephone conversations. Vegas Run Jan 22, 1985 Unwittingly Jesse and Norman become embroiled in the case of Linda Martin, an important witness against a mobster. She is persued by the mobster's henchman who are hell-bent on getting rid of her. Dog Eat Dog Jan 30, 1985 Jesse attempts to convince a rock star to appear in a public service announcement. Fire on the Wing Feb 5, 1985 A series of arson attacks at six different factories make Jesse and Norman doubt about their fortuity. Yet, when they set out to investigate, they are both completely baffled by the fact that the detonator responsible for each incident is untraceable. Chinatown Memories Feb 14, 1985 Jesse comes to the assistance of an old girlfriend. Her family gets in trouble after an statue is stolen. The Unsinkable 453 Feb 20, 1985 The Widow of an overthrown dictator employs an escaped prisoner for a hideous scheme. Jesse investigates after the prisoner leaves a stand-in at the jail. Hot Target Feb 27, 1985 Jesse pursues a gang of gunrunners and their trail leads him to a laser weaponry. There Norman re-encounters an old flame, gets captured, and Jesse is left to do all work on his own. Murder Is a Novel Idea Mar 7, 1985 Jesse helps an author solve a murder committed years earlier. The writer is about to release an book which supposedly incriminates those responsible, but only puts her in danger since the killers now need to get rid of her. The Arabian May 2, 1985 Jesse competes with a beautiful and intelligent Insurance Agent when they investigate a horse switching scheme and a murder of a stable hand. Female of the Species May 9, 1985 Altobelli comes to Jesse's aid when a Federal Agent tries to justify his failure to stop an assassination. However, the assassin is really seeking revenge against the fed who put her away years earlier. Watch out for the face to face confrontation between Altobelli and Jesse as Street Hawk. Follow the Yellow Gold Road May 16, 1985 Street hawk is up against a band of Gold thieves with a little help from the neighbourhood watch.